The project to build the world’s tallest skyscraper in the Saudi city of Jeddah will continue as planned despite seizure by the government of some investors’ assets amid anti-corruption campaign, head of the consortium behind the project has said. Mounib Hammoud, chief executive of Jeddah Economic Co (JEC), told Reuters that construction works at Jeddah Tower will keep going on following nearly over three months of detention of the key businessmen involved in the world’s stunning project. “We have faced delays. In projects of this magnitude, you always have delays – I hope we’ll recover the delays we’ve had. We will be open for business by 2020, hopefully,” Hammoud said. Key Investors on the project such as Prince al-Waleed bin Talal, owner of Kingdom Holding Co, which has 33 per cent of stakes in JEC and some family members of Saudi Binladin Group, which owns 16 per cent of the consortium and contractor of the project were arrested early November and detained for over three months. Al-Waleed like most of the detainees, according to state officials, signed monetary deals with authorities in exchange for their freedom. Some deals included seizure of assets such as real estate, shareholdings, securities and cash. Authorities said they were able to recover over $100 billion in the campaign. The Binladin Group accepted to relinquish part of its shareholding in the project to the state, yet it remains the main contractor, Hammoud noted. 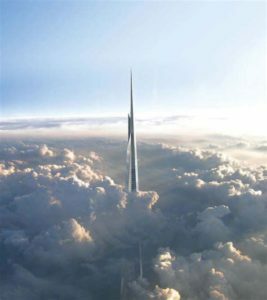 Constructions at the tower, estimated to be 1,000-meter high, have reached the 63rd floor. Chief developer officer of the project, Hisham Jomah also told Reuters that the concrete shell and the cladding – is to be completed next year. The Tower upon completion will feature hotels, shopping facilities and business offices. 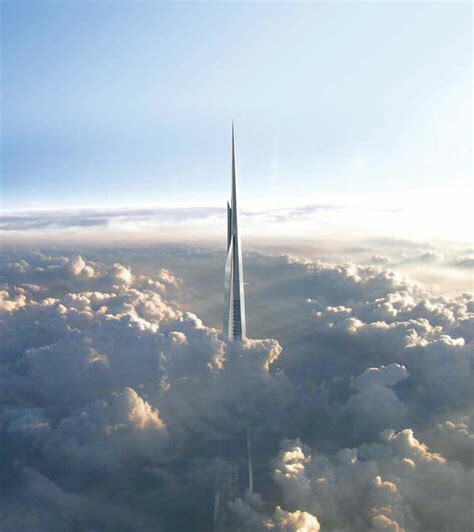 The building will surpass Dubai-based Burj Khalifa standing out today as the world’s tallest tower at over 828 meters. Written by: Peter Mulvany on February 8, 2018. Posted by Peter Mulvany on Feb 8 2018. Filed under Gulf News, Headlines. You can follow any responses to this entry through the RSS 2.0. Both comments and pings are currently closed.